TEL: 01903 331789 OR 07772 535248. NO VAT, SET PRICES, NO CALLOUT CHARGE. DRAIN CLEARANCE WORTHING – Quality Assured. If your property has blocked drains in Worthing, don’t panic! DrainBoss has been clearing blocked drains in Worthing for many years and has built a reputation as a reliable, efficient drain clearance company that gets the job done in a professional manner with a personalised service. As a quality assured drain clearance company in Worthing we work to the highest standards in the industry Â – all our drain cleaners are professionally trained and we only use the most modern equipment to clear your blocked drains in Worthing in the most efficient way possible. 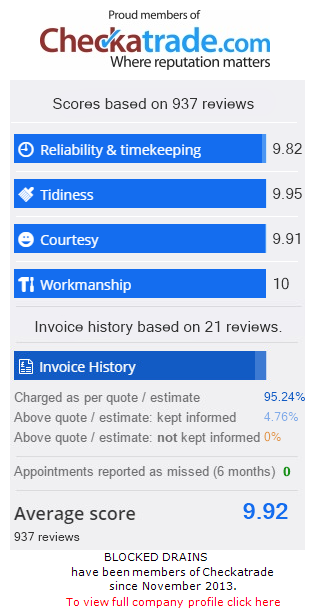 We work from a set pricing menu for all drain unblocking giving you peace of mind because you know how much you will be charged before we start work unblocking your Worthing Drains. In addition, we don’t charge VAT or a callout fee! DrainBoss also off OAP discounts and discounts to disabled and hospital staff. Drain Unblocking: Worthing – 01903 331789. If you are finding that you are repeatedly getting blocked drains in Worthing it may be due to damage in your drain. DrainBoss can tell exactly what is causing a problem with your drains by providing a camera survey. If drain repair to your Worthing property is required we will advise on the best action going forward. DrainBoss can apply cost-effective drain repair to worthing drains using modern drain lining and patching techniques which will return your drain to new functionality. Sometimes the only action to take is to replace the drain which can be done by digging up the old drain and installing a new one. Either way, when it comes to drain repair in Worthing you won’t find a better drain unblocking Worthing service when it comes to value for money and efficiency. If you are moving house and need house buyers drain survey or need to find out what problem you have with your blocked drains Worthing, DrainBoss can provide a cost-effective Worthing drain Survey using the latest camera equipment and full reporting software. Drain surveys start from as little as £105 so call DrainBoss today for your property’s CCTV drain survey: Worthing. DrainBoss provide blocked drain clearance in Worthing but we also provide drain unblocking services to the surrounding Worthing towns such as Broadwater, Findon, Northend, Tarring, Ferring, Goring-by-Sea, Goring, Lancing, Coombes, Sompting, Clapham, Durrington, High Salvington, Patcham, Shoreham-By-Sea, Littlehampton, Angmering, East Preston, Kingston Gorse, Rustington. If you are suffering from blocked drains in Worthing or any of these areas call 01903 331789 or 07772535148. It’s not just external blocked drains in Worthing that we unblock, we also unblock your property’s internal drains such as blocked toilets: Worthing, blocked baths, broken toilets, blocked sinks, broken toilet cisterns and blocked showers. DrainBoss technicians are also qualified Worthing plumbers and can fix anything from a blocked drain in Worthing to a burst pipe, leaky tap, broken radiator, heating systems, central heating etc. Blocked drains Worthing? Call 01903 331789 or 07772 535248.